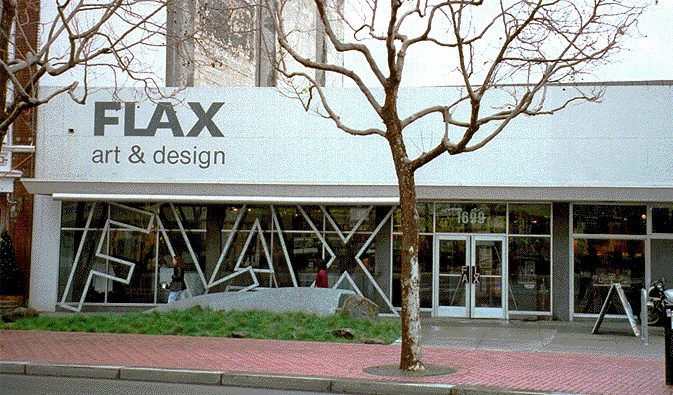 In early May 1986, PROCESSED WORLD interviewed Pauline Paranoia (P), and Stefan Ferreira Cluver (S), two of the main organizers of a unionization attempt at Flax Art Supplies on Market Street in San Francisco. Owned and run by Philip Max, the store employs sixty people, who are divided into different sections: thirty work the sales floor, another ten in the warehouse, and the last twenty are managers, office staff, and outside sales people. Flax workers opted for Service Employees international Union Local 87, which until now has mainly represented the janitorial workforce in many large office buildings in San Francisco. The interview was conducted by Maxine Holz (M), with occasional help from Lucius Cabins (L). P: But it was significant that a group of employees presented him with something--anything! P: They didn't say "You haven't been filling your shelves" -- nothing you could quantify. So many people got told they had a bad attitude, it got funny. P: That's when I first came into this scene. I've never experienced anything like it--first of all I'd never worked in a place where people had so much contact. I'd worked in big offices where you had your own desk in a row but you never talked as much. I was really impressed by the fact that everybody was being so open about the reviews because I thought "Oh that's such a personal subject" and most places you never talk about how much you make! The people who started the organizing kept it under wraps, since some people might have gone running to Flax. At first they only approached people they could definitely count on. S: People have this idea that "this job is not my life." Instead of trying to improve their work situation their attitude is, "If I don't like it, I'll quit and be a waiter or anything, I'll move on." And we were saying "Look, whether you like it or not, you're spending eight hours a day here, half your waking life, so why not make it the best work situation possible? You have to take a stand..." And there's the individualist trip you get here in the US. You as an individual can make it. Because of this people thought they could stand up and take a position against Flax, but at the same time they identified with Flax and the private enterprise lingo. This dichotomy has created difficulties, e.g. with Richard, who was used to more traditional "working-class" people. Working-class people feel disenfranchised, but they have less illusions that the boss looks out for them and they also have less of a sense of self-power. So in organizing you have to build a sense of solidarity, a sense that they can make a difference, that there is something worth fighting for.